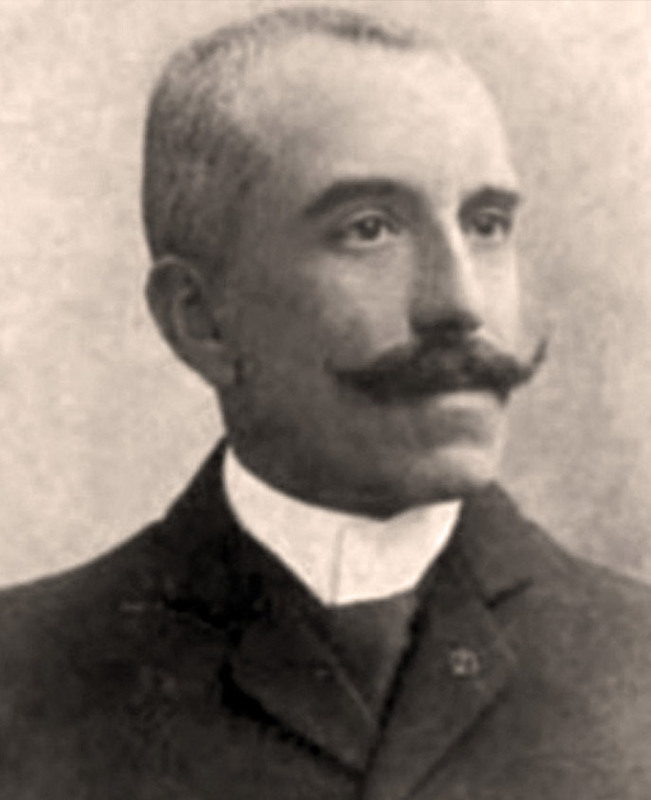 French scientist Professor dr. Pierre Viala (1859-1936) was the scion of a winegrowing family and studied at the College of Agriculture in Montpellier (Languedoc-Roussillon) under the then head Gustave Louis Emile Foex (1844-1906). Together with Louis Ravaz he identified in 1883 the vine disease black rot (Black red) and dealt mainly with fungal diseases like the real one mildew, Finally, he became professor of viticulture in Montpellier and, together with Foëx, wrote the work "Ampélographie américaine". The French Ministry of Agriculture ordered him to head a delegation sent to America in 1887, which would be suitable documents for the finishing in the fight against the phylloxera should find out. He also met the American botanist Thomas Volney Munson (1843-1913), from which he received valuable information. Together with Georg Engelmann, Alexis Millardet, Jules Émile Planchon and Charles Valentine Riley He is considered the savior of European viticulture before phylloxera. Through his efforts, based on the American species Vitis berlandieri ( Vitis cinerea var. Helleri ) produced lime compatible document "41 B", which replanted the areas Champagne and cognac allowed. In 1890 Viala became a professor of viticulture at the Institute "National Agronomique" in Paris and wrote in 1891 the doctoral thesis of the natural sciences. Together with Ravaz he founded the magazine "Revue de Viticulture", which was published regularly from 1894 to 1949. In the period 1901-1910 was in collaboration with the wine-growing man Vermorel (1848-1927) published the book "Ampélographie - Traité général de viticulture" in seven volumes after ten years of studies and meticulous research with a team of seventy. It was that at the time ampelographic Standard work and contained 24,000 varieties with her synonyms, 570 mostly colored lithographic panels and numerous illustrations (four of which are shown below). Viala was finally appointed General Inspector of Viticulture in 1897, was a member of the "Académie française" from 1919 and published many groundbreaking works on the ampelography and grape diseases. This page was last modified at 27 October 2017 at 16:07.